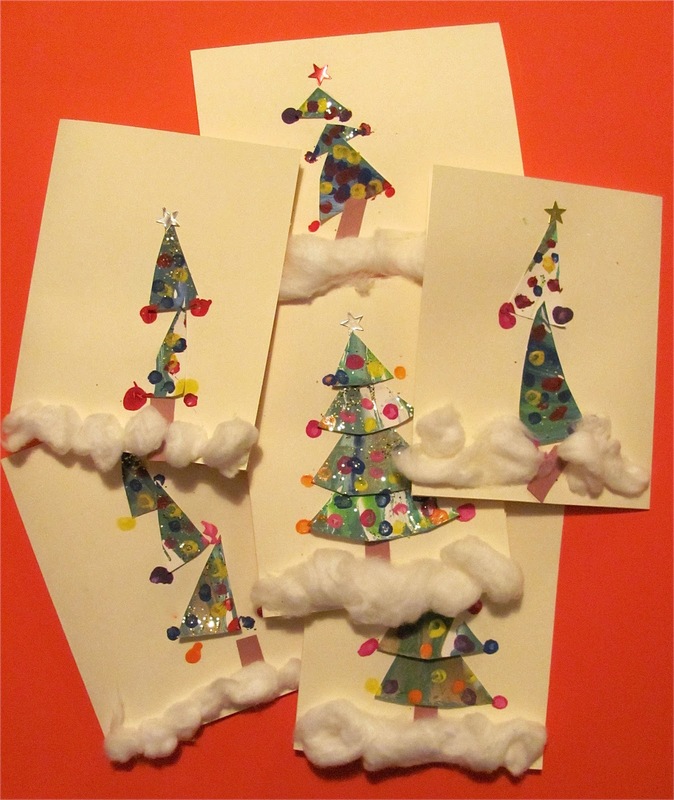 We've been making Christmas cards! Have you sent out your Christmas cards or do you even send them? There are just too many things to do for the Holiday Season! Is anyone ever done with everything??? I enjoy sending Christmas cards, but agree that it can be just another added thing that we all think we must do! (Kudos to those who just agree to not send them!) 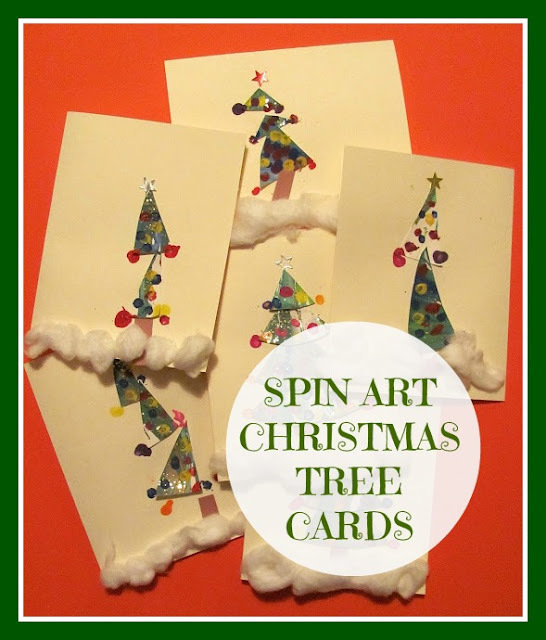 Cassie and I spent a morning creating these cards using our spin art scraps from our Spin Art Christmas Trees from last week! Here are all the scraps that we had left....I knew that we could use them for something!!! 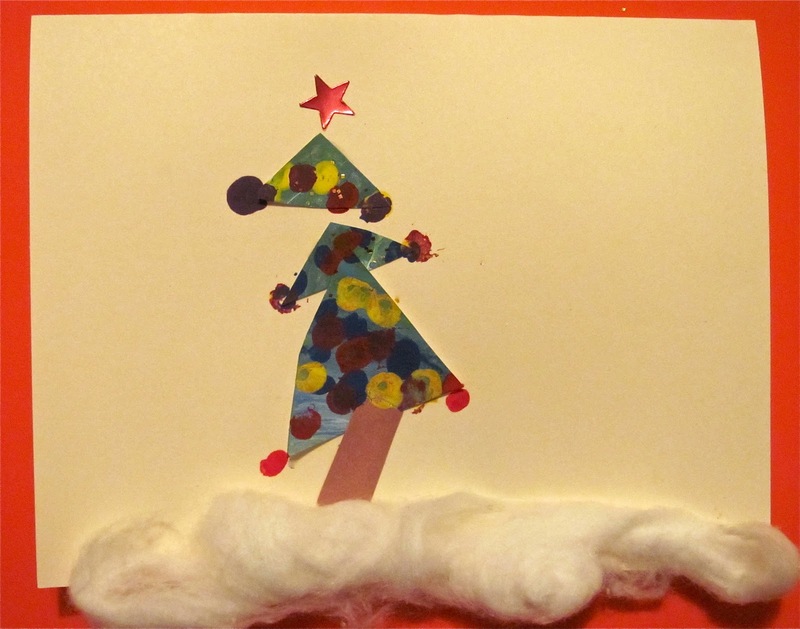 Then we added a brown construction paper tree trunk an white cotton for snow! Then we used q-tips and paint for the light and ornaments and a star sticker for the top! Simple and sweet! Here is another. You can cut out all different types of triangular shapes: tall , wide, curvy, etc. Here are a bunch we did! I have a feeling we'll be making more Christmas cards! What is your take on sending Christmas Cards??? One of the best ideas i've seen in a long time. I really like these! 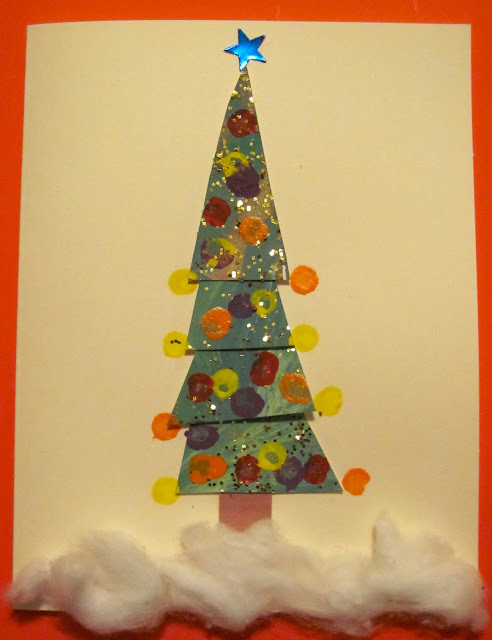 I sometimes wish I taught at a Christian school where it was okay to do Christmas themed art with the kids! Beautiful! 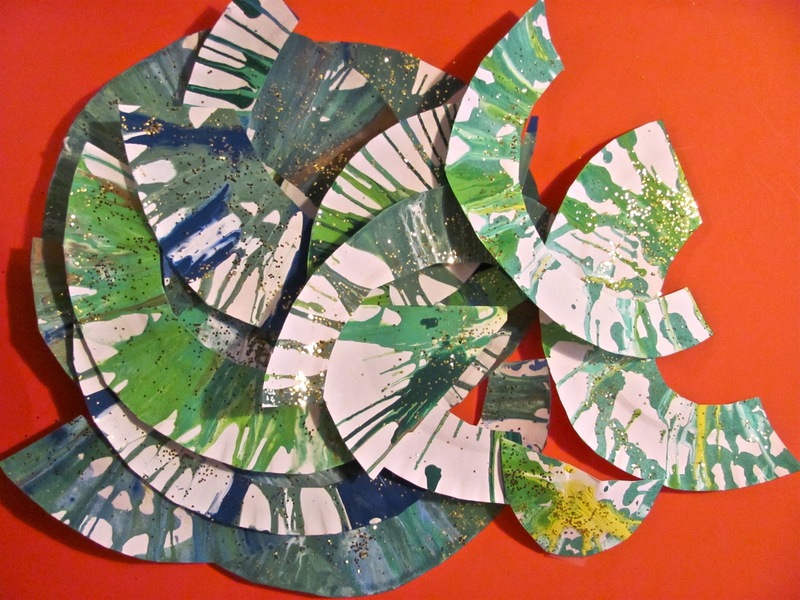 Spin art is fun! I must get a spin art contraption. I'm loving all the spin art creations!!! These tree cards ARE whimsical, and exuberant! I like to send cards, but have gotten away from them. I still send a few most years. I also like sending e-mail cards! Great use of the scraps - don't look "scrappy" at all, but awesome! After years of making our own cards, we gave in to Tiny Prints and have our made. Not exactly frugal, but it's a huge weight off my shoulders and the cards actually get sent! I love these loopy trees, Melissa. They're so happy! These are adorable. Great idea!